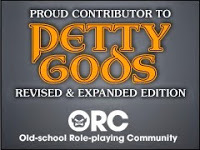 If you spend some time going through older posts (the Table of Contents is good for this) you'll see that I do like to find some not-so-obvious "things" to feature as a Free GM Resource. This week is another not-so-obvious resource: Identifont. 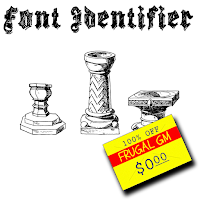 Identifont has proven itself useful to me over and over again because it has enabled me to try and emulate a specific look from something I'd like to tweak and add to my game table. Instead of simply going to some free font websites and searching high and low for the perfect font for my project, which is kind of working backwards and not an effective use of time, I could start with an unknown font and work forward through the Identifont interface. 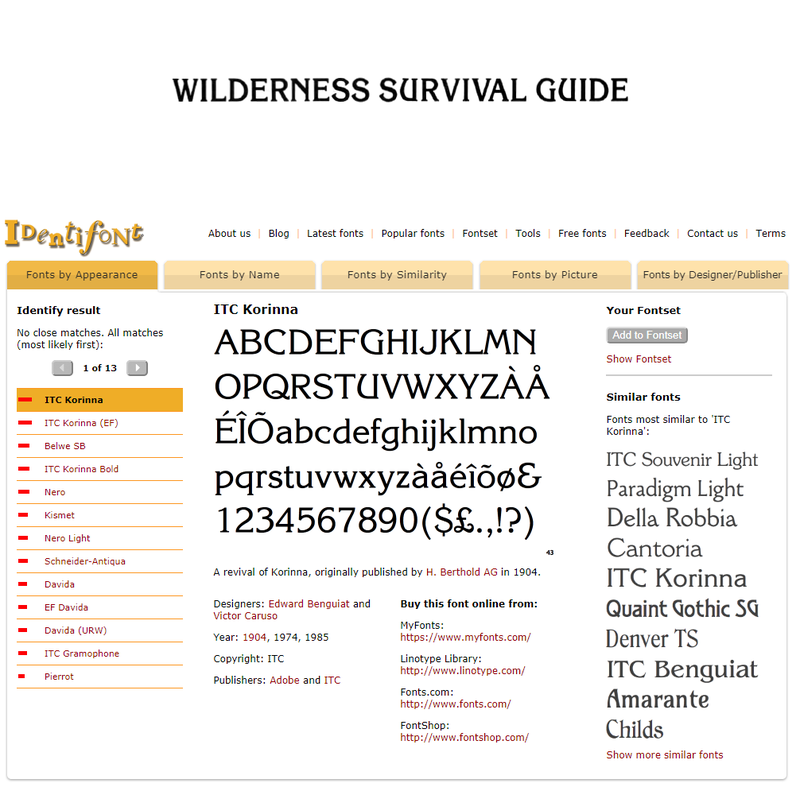 For example....here I tried to figure out what font was used for the title of TSR's Wilderness Survival Guide. 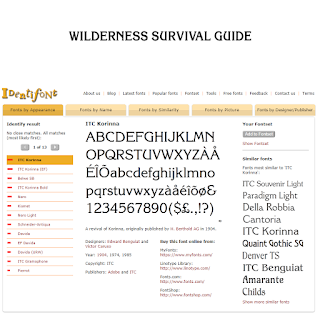 I won't step through all the steps, but I simply typed "WILDERNESS SURVIVAL GUIDE" in the "Fonts by Appearance" tab and limited the results to fonts created before 1987 (The copyright for the book is 1986). I answered specific questions regarding the available letters and here was my 1st result: ITC Korinna. Now ITC Korinna is damned close, but not perfect. The "W" doesn't match up quite right, but is close. Cycling through the other possibilities I found that ITC Korinna Bold is perfect. Now I can go and look for that specific font for my project. This was just an example and NOT an actual project need. I've found Identifont to be quite useful and I think some of my 12 regular readers will as well.